From now till 30 April 2016, be one of the first 1,500 customers to deposit fresh funds of S$25,000 – S$100,000 in a 6-month SGD Time Deposit with us and earn 1.70% p.a. interest. Plus, get up to S$1,000 when you start a Priority Banking relationship with us. 6-Month Singapore Dollar Time Deposit Promotion T&Cs and Priority Banking Q2’16 Sign-Up Promotion T&Cs apply. SGD Deposits are insured up to S$50K by SDIC. 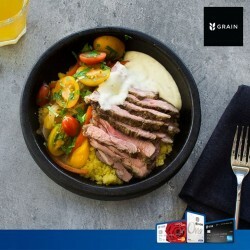 Order your delicious and wholesome meals from @Grain and receive S$5 off your first order using the promo code 'UOB05'! UOB YOLO Cardmembers, receive S$10 off your first order if you use the promo code 'UOBYOLO10'. Order now at grain.com.sg. T&Cs apply. Valid till 31 Dec 2016. The Great Online Shopping Festival (GOSF) 2016 is happening from 25 to 27 April 2016! Check out DBS Paylah! 's special offers now! 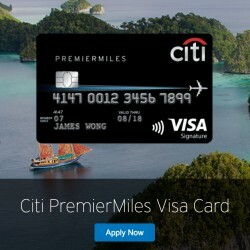 Earn 6 Citi Miles per S$1 spent on Expedia.com with Citibank Premiermiles Card. Offer valid till 31st July 2016. 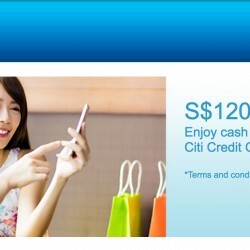 Spend and Get $120 Cash Back when you apply for 2 Citibank Credit Cards! Valid till 30 June 2016. 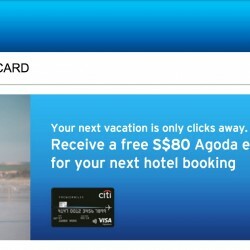 Get FREE S$80 Agoda eVoucher when you apply for Citi PremierMiles Visa Card with a minimum spend of S$500. Offer valid till 30th April 2016. 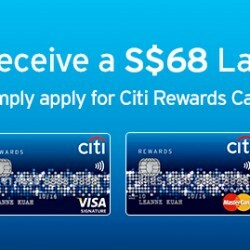 Receive S$68 Lazada eVoucher when you apply for Citi Rewards Card. Valid till 16th May 2016. 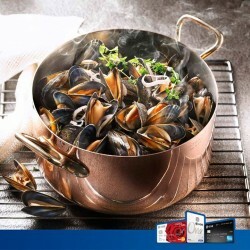 Get 8% cash back on petrol, groceries and dining with Citibank Dividend card! 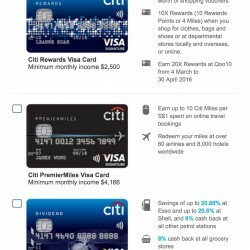 Apply for Citibank Rewards Card now and get a S$50 Qoo10 Gift Card when you accumulates spend of at least S$50 (or equivalent) at qoo10.sg within 30 days of card approval date. Offer valid till 30 April 2016. 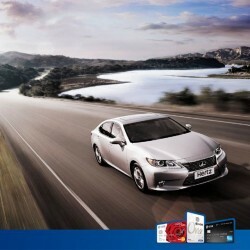 Apply for ANZ Platinum Credit Card OR ANZ Switch Platinum Credit Card and get up to $100 cash credit with min. $488 spend! 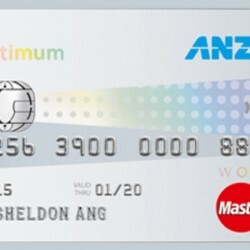 Earn 5% cash rebate on your chosen category worldwide from Dining & Leisure, Travel, Shopping or Groceries and 1% on everything else with ANZ Optimum World MasterCard Credit Card. 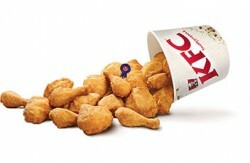 Save 10% on your total bill when you pay with your ANZ MasterCard at KFC Sentosa! Valid till 31 December 2016. 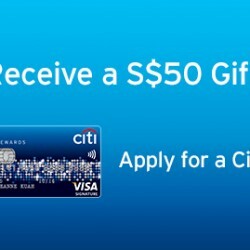 Apply for a Citibank Credit Card and get a Free $80 Takashimaya voucher with min. spend of $1000 now! Apply by 15 May 2016. Receive S$50 rebate when you book your next trip on ZUJI Singapore with Visa Checkout! Moreover, stand a chance to win a pair of tickets to New York City by signing up for Visa Checkout on ZUJI. More details at zuji.com.sg/visa. T&Cs apply. Valid till 3 Apr 2016. Applicable to UOB Visa Cardmembers only. You no longer have to fly to Norway to taste authentic Nordic cuisine. Head to Triple Three at Mandarin Orchard Singapore for authentic scandinavian cuisine! From 24 March to 3 April 2016, enjoy 50% off every adult diner with your UOB Card. T&Cs apply. More details at bit.ly/1QERBKf. Savour authentic Taiwanese cuisine at Din Tai Fung with your UOB Card and enjoy a complimentary Hot & Sour Soup (worth S$7) with S$90 min. spend. 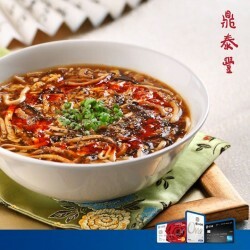 Plus, Get 15% off noodles selection. More details at: bit.ly/1QB1plx. T&Cs apply. Both offers are mutually exclusive and cannot be used in conjunction with each other, while servings last. 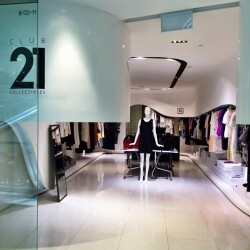 Prepare for TGIF and shop at Club 21 - club21global.com Collectibles at Raffles City! We’ve word that more brands have been added, so pop by today to enjoy discounts of up to 80% off. UOB Cardmembers receive an additional 5% off. See you there! Take the road less travelled with Hertz car rental, and enjoy 10% off all rentals (promo code: CDP#2095007) and an additional A$20/NZ$20 off rentals in Australia or New Zealand (promo code: PC#194342). Book now at bit.ly/1QIcRyB. Fly with SilkAir this holiday, and enjoy all-in return fares from S$199 with UOB @MasterCard. Book now at bit.ly/1R1NGGp and you can win a 3D2N Ocean Suites Package at Resorts World Sentosa worth S$7,600! More details at silkair.com/mastercardrws. Travel with Expedia and enjoy up to 75% off your hotel bookings, plus an additional 10% off when you charge your bookings to your UOB Card. Book now at expedia.com.sg/UOBFlashSale with promo code ‘UOBSG’ at checkout. T&Cs apply. Valid till 18 Mar 2016, travel period till 31 Mar 2016. Whet your appetites, because the is happening 28 Mar to 24 Apr - and they'll be pulling out all the stops for their 20th anniversary! We're proud to announce that UOB Cards is the official card partner this year - our Cardmembers enjoy 10% off all ticketed events. 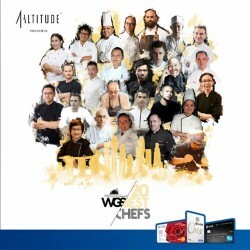 Michelin-starred chefs Arnaud Bignon, Javier Aranda, Nacho Manzano, Takagi Kazuo and Yoshinori Ishii will be in attendance among other culinary greats. Click through for more details! T&Cs apply. More details at uob.com.sg/WGS for more details or worldgourmetsummit.com. This promotion is valid on WGS Ticketed Events made through "wgs.chope.co" with the promo code UOBWGS at checkout page. Get that coveted dress or shoes you've been eyeing from ZALORA at additional 20% off with min. S$120 spend on your UOB Card! T&Cs apply. Valid till 31 Mar 2016. Not applicable on items sold by sellers and non-sale brands listed at zalora.sg/faq-non-sale. 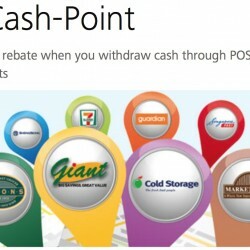 Have you tried withdrawing cash via POSB Cash-Point yet? POSB Cash-Point lets you withdraw cash with any purchase at even more cashiers using your ATM card. With almost 2,000 locations islandwide, cash withdrawal is now more convenient! Now here's the best time to try this service because you will receive S$10 cash rebate when you withdraw minimum S$200 in a month with POSB Cash-Point. Limited to first 10,000 customers per month for November and December 2015. Try it now!